This is a sponsored post written by me on behalf of Ben Bridge Jeweler for IZEA. All opinions are 100% mine. As a full time beauty blogger and social media consultant, people often ask me what I do all day. I think some of you may think that I lead a glamorous lifestyle. Ha ha – not so much! Sometimes I get to do AMAZING things and go to amazing places that I wouldn’t get to experience if I wasn’t a blogger. But I’d say about 75% of the time I’m home, on the couch, in my sweats, working hard on my laptop. When I’m on the clock, I create content. Sounds easy right? Well it’s actually a lot of work! In a typical day I write posts, edit copy, set up photo shoots, edit photos, answer a bajillion emails, troubleshoot tech stuff, work with PR companies and brand owners, un-box and sort products, share content on every social media channel, shoot and edit video, oh and sometimes I actually have time to try out those beauty products! If anyone tells you being a full time blogger is easy, they are either lying or they’ve never actually done it. When you own a small business, you get to be the HR dept, IT dept, marketing dept, accounting dept, R&D dept, and you do most of the work! It’s a labor of love though, and I really enjoy what I do! Being an entrepreneur is so satisfying – I love owning my own company, and I love being in charge of how I plan out my day. 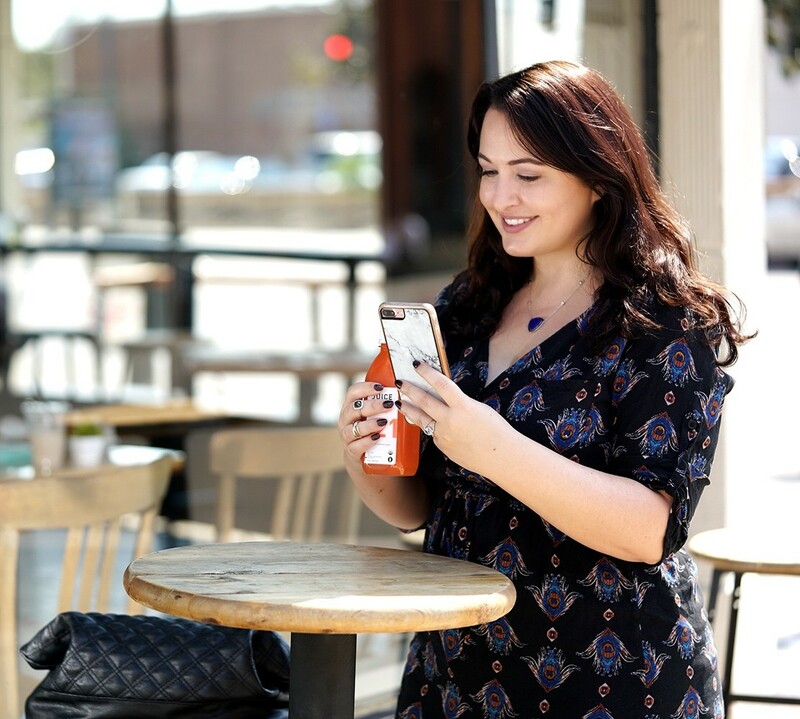 Sometimes I get out of my cave and work at a coffee shop, do an on-location photo shoot, meet with a client, or take time to have lunch with some of my blogger pals. 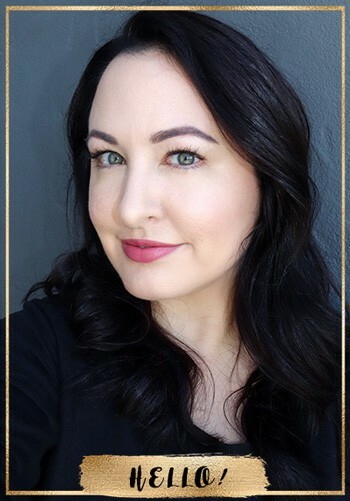 And several times a week, I get dolled up and go to beauty events to keep up with the latest and greatest so I can share it with you. When I’m out on the town, I like to feel put together. It makes me feel more confident and strong to put on a little makeup and wear jewelry and accessories that tell the world I’m a boss babe! Recently I went to one of my favorite local coffee shops for a mid-morning chai latte and snack, while I worked from my laptop and phone. I brought along some products to photograph while I was there, and took some selfies of the beauty products I was testing out. It’s a challenge to keep my Instagram feed looking fabulous, and avoiding the same backdrops over and over, so I’m always looking for new places to shoot, and new colors and textures to add to my photos. My photographer friend, Joe Kohen, came along and captured some pics of me while I was working. I’m wearing my “power jewelry” in these photos. The necklace is the Lisa Bridge Lapis Lazuli & Black Sapphire Necklace from Ben Bridge Jeweler. I love how bold yet simple it is. 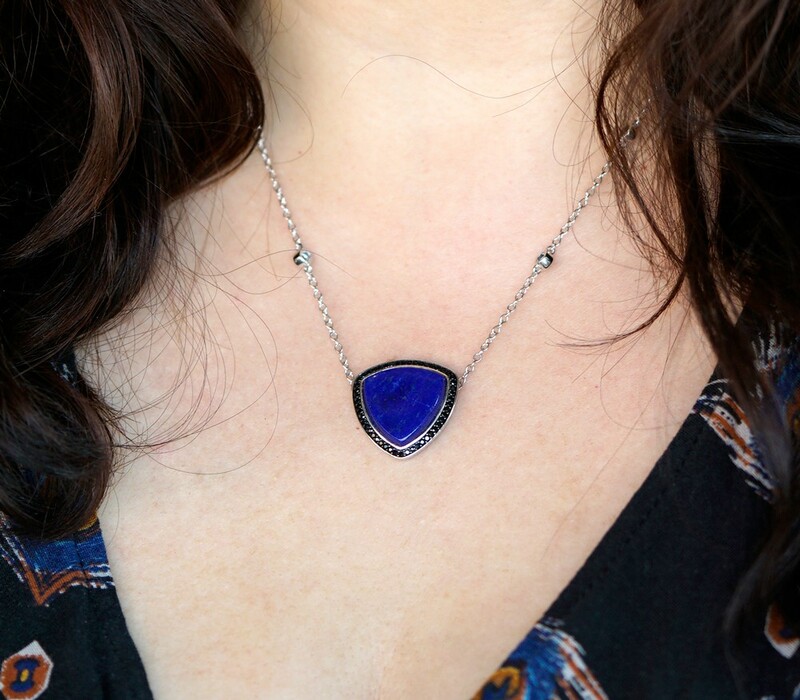 The deep blue lapis lazuli stone is gorgeous and it’s surrounded by a halo of black sapphires. There are also four black sapphires set into the chain itself. This is a very “Jen” necklace! It’s elegant, slightly exotic and bold – not overly girly or sparkly. The shape of the stone even reminds me of a superhero emblem – I feel like Wonder Woman when I wear this necklace! The Tri Color Crossover Gold Ring with Diamond Band is another power item for me. I don’t have tiny fingers, and I don’t like to wear dainty rings. 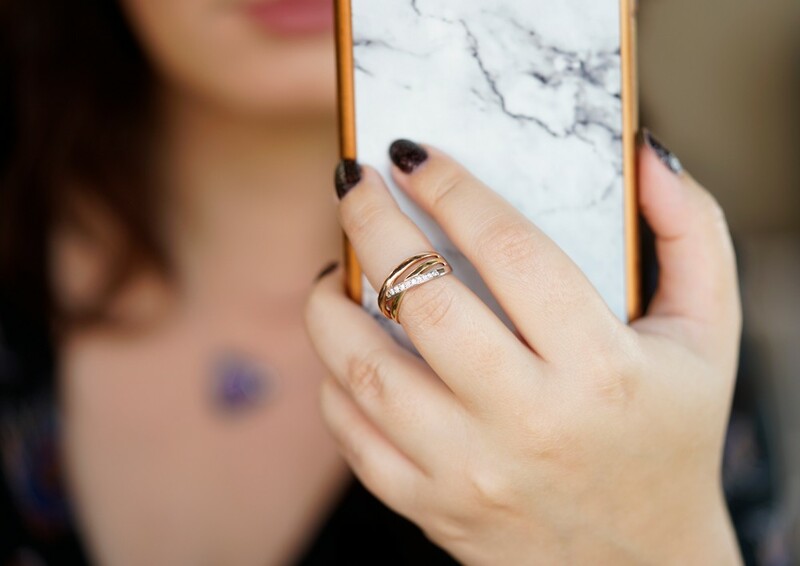 I prefer large statement rings or pretty-and-powerful rings with larger bands, like this one. The Cross-over ring has 1/8 carat total weight of diamonds, in 14K white, yellow and rose gold. The mixed metals are also a statement – I can wear this with anything! It can be easily dressed up or down, depending on the occasion. 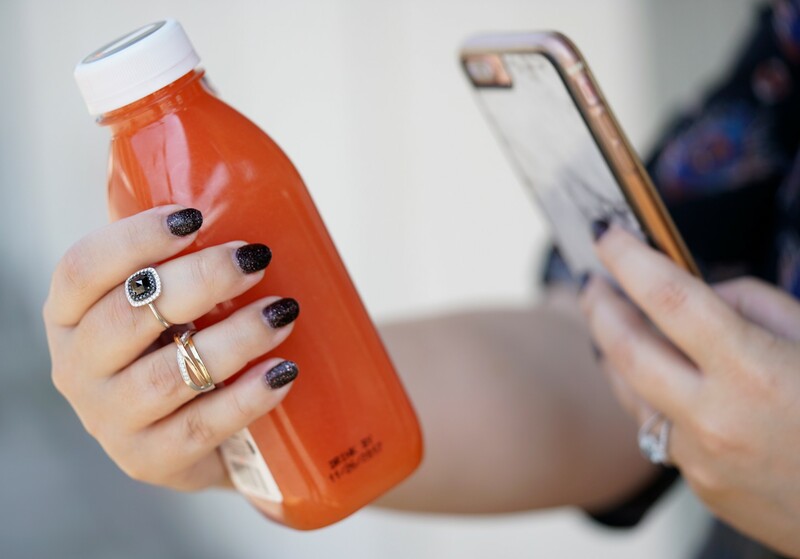 I’m always taking photos of products, and many times my hands are in the shot. I like to dress it up with rings like this amazing Rose But Black Diamond Ring. I’m definitely into more alternative stones, and black diamonds are my JAM. My engagement ring is also a black diamond ring because my fiancé knows me well! This Rose Cut double halo diamond ring with black and white diamonds by Ben Bridge has 1.54 carat total weight, and comes in 14K white gold. The center black diamond has unique rose cut faceting. How gorgeous is this?! Ben Bridge Jeweler creates jewelry made with real metals and ethically sourced stones that are designed to last. These are gorgeous statement pieces that will become more valuable to me over time as I associate them with memories and milestones during my blogging career. 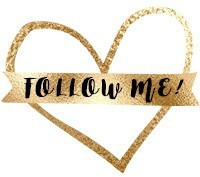 « Cruelty Free Beauty Haul Giveaway! Ooh I need something with lapis lazuli, love your necklace! I really love the ring. That would be a pleasure to wear. I loved seeing the jewelry you were trying out from Ben Bridge. The necklace and the tri-metal ring were such gorgeous and versatile pieces. 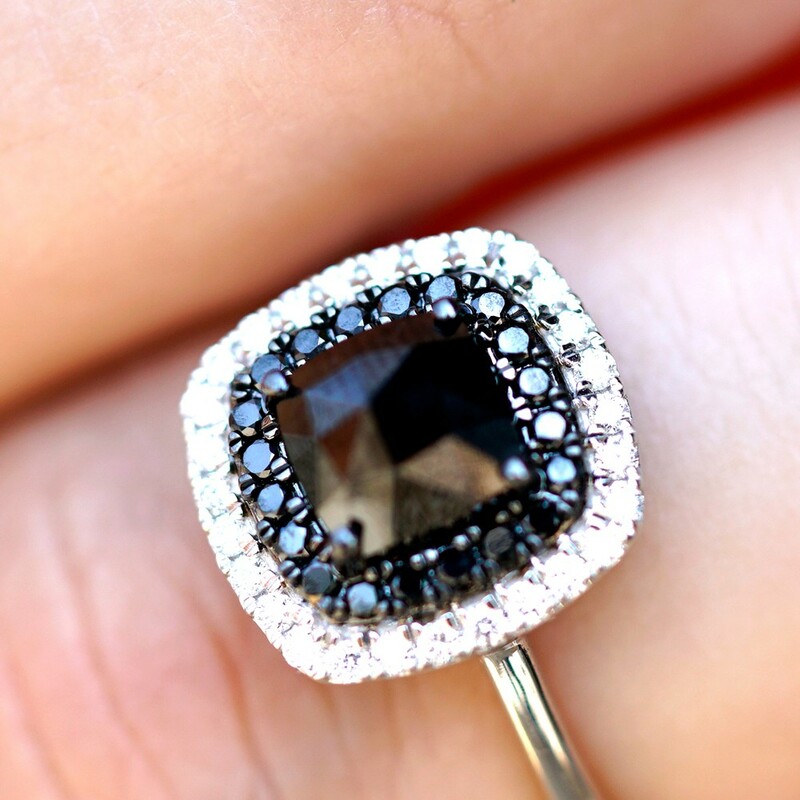 I was blown away by the black diamond ring – I had never even heard of black diamonds! I love all your jewelry, and I NEED both those rings!! I love that crossover ring so much that I sent my Mum this article (she’s always looking for jewellery patterns). You look fabulous, as always – love that peacock print dress. Wonderful necklace! Love the ring too! Gorgeous! Thanks so much! My engagement ring is also made with black diamonds! The jewelry is gorgeous. And so is the dress – love the pattern! Thanks for sharing a part of your day! I can see why you have to wear so many hats! I bet you work hard. 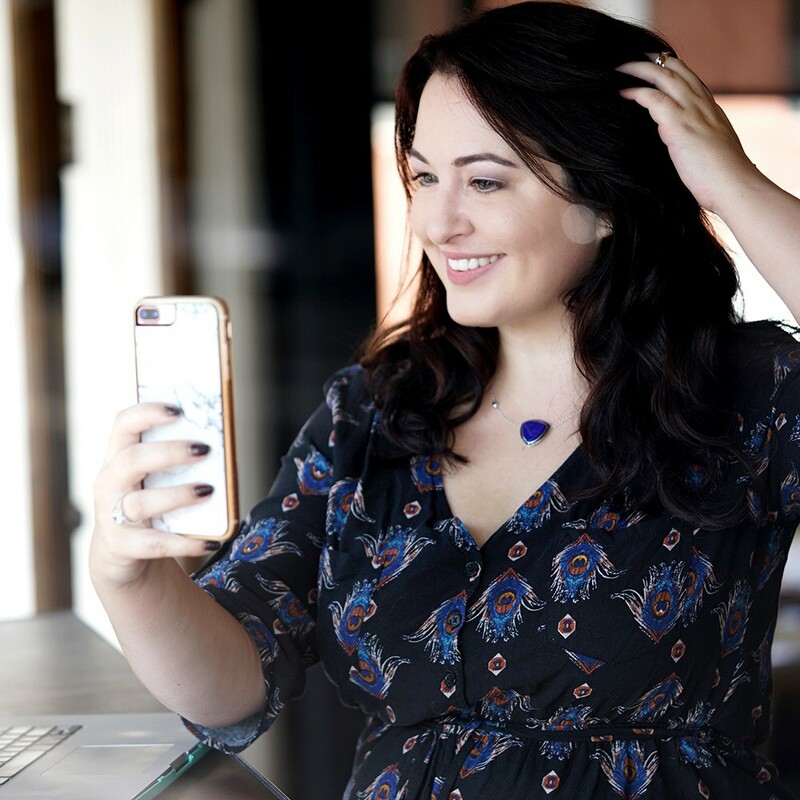 I know blogging is hard work, and that is great you love it! You do have an incredible blog and I love your jewelry. It is so gorgeous on you! 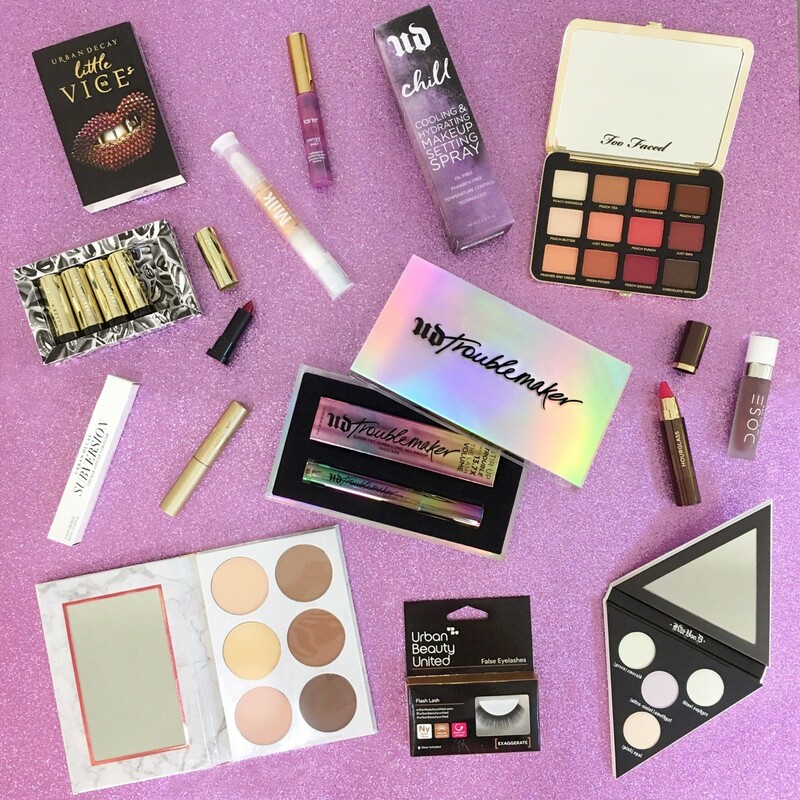 Cruelty Free Beauty Haul Giveaway!